Romantic, relaxed and carefree, a bohemian-style wedding is perfect for free-spirited couples who obey no rules and aren’t bound by classic traditions. 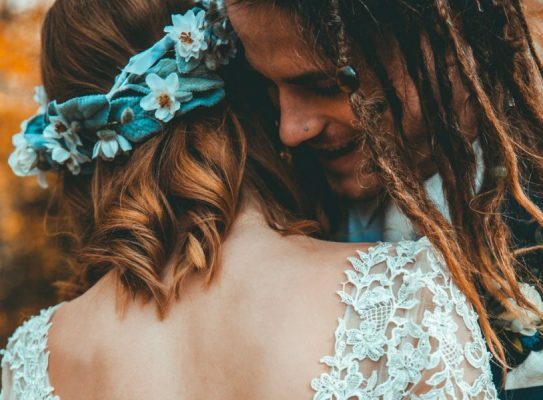 With a few organic and personal touches, bohemian weddings can be effortless and carefree, but still very stylish and unique celebrations that perfectly showcase your individuality and your quirky spirit. 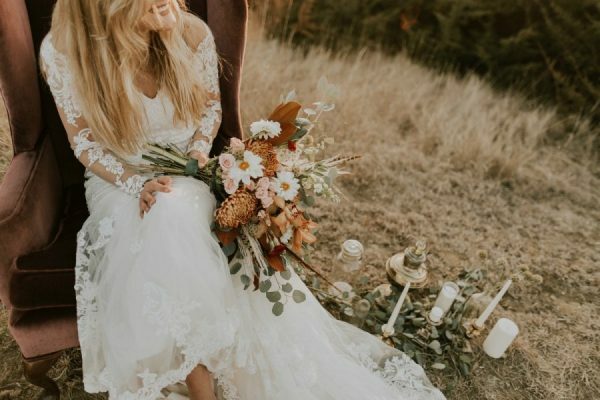 If you are a bride that dreams of romanticism and natural elements, crafting bohemian-styled features can be incredibly easy, with just a few simple guidelines. So, get inspired by these amazing boho-chic wedding ideas and create the celebration of your dreams. Above all else, bohemian wedding dresses are effortless – they come off as relaxed and casual, without losing any of the gorgeous details. All beautiful and very comfortable, the most popular fabrics for boho gowns are lace, chiffon and cotton. Since bohemian weddings are often less formal affairs, necklines can go a little lower than usual, and sleeves are popular in all lengths, but especially long, sheer ones with embroidered detailing. 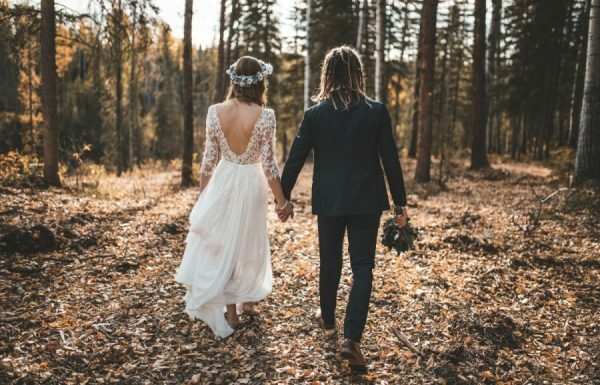 As far as silhouettes go, A-lines are beautiful and long trains make the biggest impact, but a sheath silhouette and low backs or high slits are all great options for a beautiful boho wedding dress. There is nothing more bohemian than a beautiful, romantic flower crown. 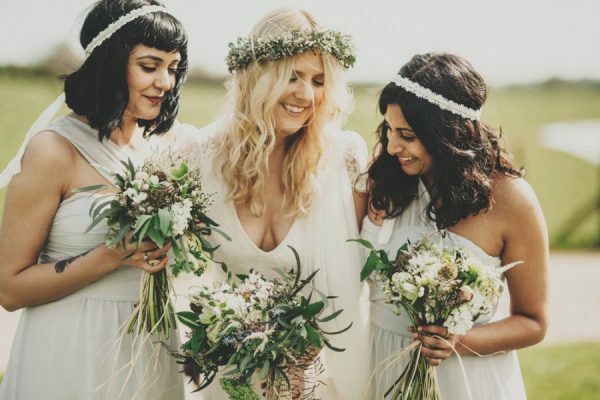 Whether you opt for soft waves, loose plaits, fishtail braids or braided hair crowns, you can still achieve this free-spirited look embodied by a flower crown while freshening up this boho staple and giving it a more elegant, wedding-appropriate touch. Instead of going for a full floral impact with large blooms, elevate the look of your flower crown by simplifying it with smaller buds, fewer flowers and a couple of dainty leaves. No boho bridal look can be complete without beautiful bridal jewellery decorated with gorgeous crystals and dainty pearls that perfectly embody the bohemian spirit. But apart from intricate jewellery pieces, another great idea would be to dress up your feet with embellished anklets, especially if you decide to go through the ceremony barefoot, in order to fully embrace the boho-chic theme. As far as the floral arrangements go, hand-tied bouquets with peonies, hydrangeas, daisies, baby’s breath and lots of greenery are truly what every boho bride’s dreams are made of. The most beautiful and impactful bohemian weddings are held in an open space with a ‘close to nature’ feel. 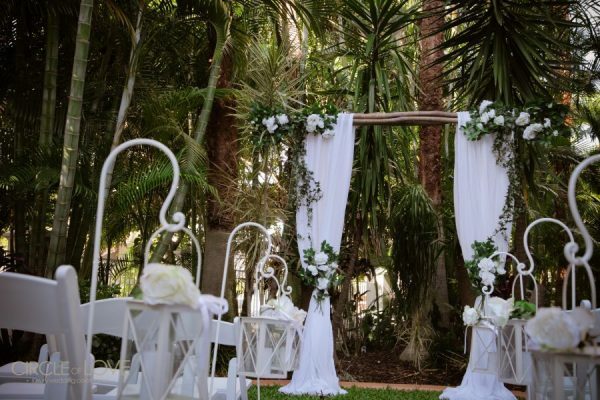 While a beach wedding would be the most magical option possible, you could always opt for unusual, yet enchanting venues that embody the boho spirit perfectly, such as forests, open fields, or even gardens and backyards. 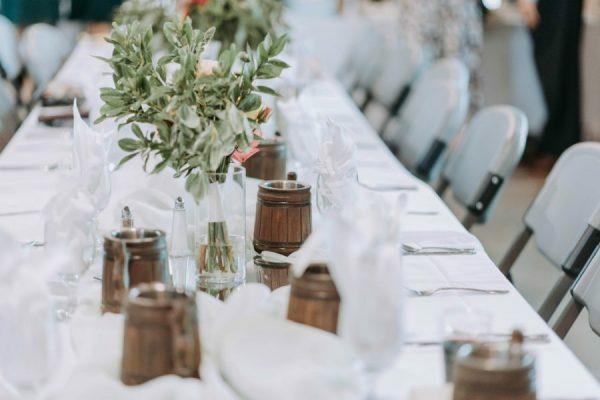 However, if you want to hold your reception indoors, rustic barns, relaxed marquees and even beautiful glass houses all make for the perfect bohemian venues. 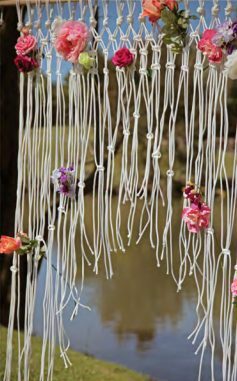 For a truly bohemian detail that is perfect for outdoor ceremonies, a beautiful idea would be to create a DIY wedding arch out of natural wood with muted flowers and cover it with sheer drapes or even crochet or macramé drapes. 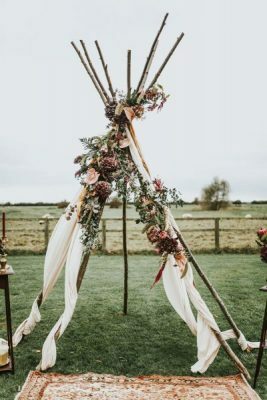 Another great idea that may be a bit more out of the box, but that embodies the free-spirited bohemian vibe perfectly, is to opt for a teepee arch adorned with soft drapes and situated on vintage ethnic rugs, which creates a relaxed and carefree ‘70s hippy vibe. 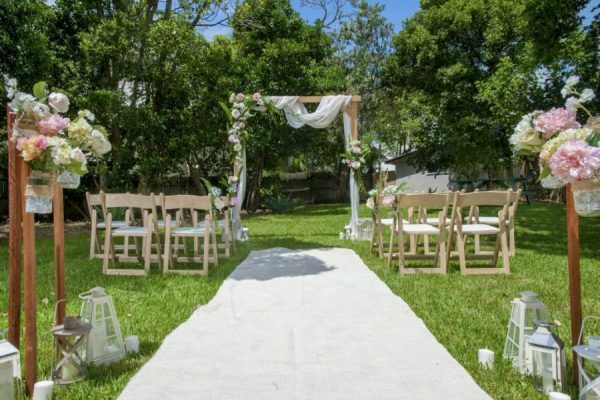 Sprinkling fresh greenery throughout the elements of your ceremony and reception, such as integrating foliage into your name card display, will highlight the charm of an outdoor wedding, and it can easily elevate any boho-inspired event, while showcasing blush-toned florals down the length of your isle can enhance a bohemian-style ceremony by beautifully complementing traditional wood elements. Whether arranged in bouquets, strewn around the venue in large pots or placed on the tables as unconventional centrepieces, succulent plants are also great for bohemian weddings, as they add a carefree Californian touch to an open-air celebration. For a design statement that’s brimming with bohemian flair, string up a few paper lanterns around your venue, or even mix and match Moroccan star lanterns, to achieve a glowing, romantic effect. 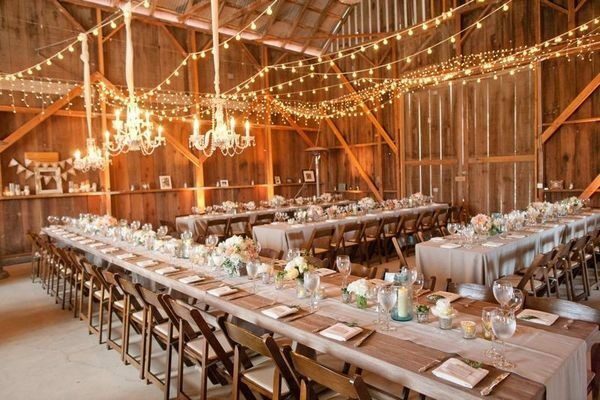 Another great lighting idea, that is especially charming for an outdoor reception, is to hang fairy lights, along with some dreamcatchers and macramé or crochet décor, as they give off the most beautiful, intimate light that is perfect for such a carefree wedding celebration. 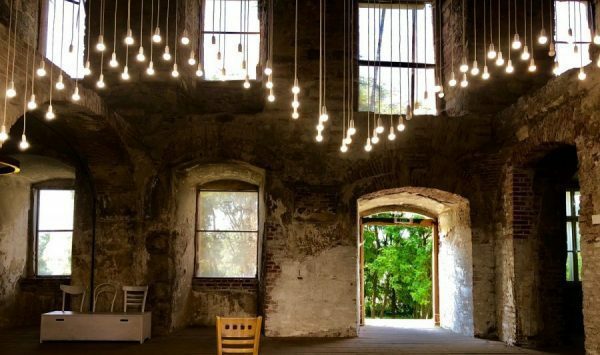 Whether draped over trees, around tables or illuminating the altar, fairy lights can be placed anywhere and make any space feel warm and welcoming. If you are a bride who adores all things floral, flowy and romantic, then a relaxed bohemian wedding is the perfect option for you. So, don’t worry too much about rules and traditions – just stay in touch with nature, as well as yourself, and make your wedding day as beautiful and as special as you are.